Here is where I write my observations! A few nights ago I woke up in the middle of the night to hear my dog barking, I didn't see what at, I just ignored. Yesterday morning when I was waiting for the bus, I started to hear a dog bark, my neighbors. Then tons I mean TONS of birds piled my trees in my front yard! They were all over my trees probably for the berries that are called pears but they don't look like pears. But there weren't an birds anywhere else but my yard. Also yesterday my friends were over at my house, and we were sitting in my room laughing with the door cracked. When all of a sudden the door started to open very slowly. Everyone in my room was silent in fear. We were scared and didn't know how that happened! Mitchell (one of my friends) would have seen it if it was my brother through the crack. Also Paige (my other friend) told me about how she has these fold up chairs, (hard to explain) and she said that when she woke up the next day, they were upside down. Plus she sleeps in her basement and she tells me she hears really weird creepy noises all the time! Also I was taking Paige and Mitchell home since they live down the street, an it was dark. We saw this figure, probably the size of a little kid, like a 2nd grader. We thought it was our neighbor but we knew it wasn't! It was too dark to see it so we are still not sure. Then I we were walking and a light flashed across our back. They thought it was a car that went past the woods but I think otherwise. Also since we were almost at their houses, I started to run home. When I saw a small black figure, like the size of a rabbit or bunny. Run into a bush. Like I said I couldn't see anything so I wasn't sure and it was pretty creepy. Today my brother went to a friends house that lives just down the street. (The same friend that believes in leprechauns and is very Irish!) Well I told my mom to tell the little sisters "Hi." For me. The giggled and my mom talked to their mom. Then the two little girls, Flynn and Ireland, walked up to their mom and told her that they saw shadows in the basement. My mom told me she thought they were kidding, but they might not have been. 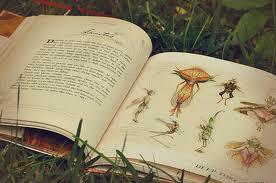 They are about 3 and 6 and in Spiderwick they always say, the younger you are, than usually their are more experiences. Maybe they saw something we can't. Also my friend Paige tells me that she always has deja vu' in dreams like I do. 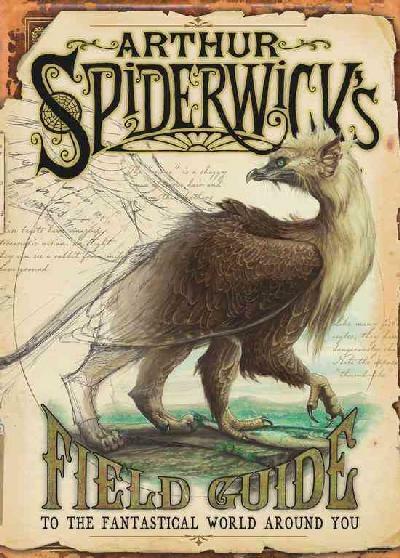 Maybe something to do with Spiderwick. I am very sorry I haven't updated my website since last month. I have had a few experience, not many since the cold weather, but I don't remember when they were. I remember one, similar to the one with Paige and Mitchell seeing objects in the grass. Well this is what happened, I was at Paige's house but it was getting late so I had to get home. I was walking trying to be seen, when I felt like I was being followed. I looked behind me and I didn't see anything, so I started running. I heard a few twigs snap so I got really scared then I saw this figure, rustle in the bushes. It was again the size of a small child. Then another experience was I when I was on the computer and my dad, my brother, and both my dogs were in the living room. My mom wasn't home at the time. But we were sitting there talking when we heard a loud bang coming from one of the bedrooms. It sounded like either a drawer closing or window shutting. My dad went to look but there was nothing there. Also Paige tells me that whenever she is in her room by herself, which is in the basement, she hears weird noises like this fold up chair closing or creaks. Also I remember waking up at 3 am with my dog barking at nothing. He would not stop he just kept on barking for 20 minutes! Also another time he was barking again where the speaker is, the same place I saw foot prints. Maybe a brownie. I apologize for not updating my website but I had a new experience yesterday that I would like to share. Yesterday I was in my bedroom alone with my door shut closed. I was waking up when I heard a strange noise coming from inside my bedroom. It was a noise hard to explain but it sort of sounded like sawing or drilling. But not like it was really loud, it sounded like it was coming from mini tools. I heard it coming from my wall so I walked near to see if I could hear it better. Then I found out it sounded like it was coming from my vent in my wall. I took my desk chair and I put it against my wall to see if I could see inside my vent. I stood on top of the chair and I looked inside. It was hard to do but I still didn't see anything. But the sound was louder. I am pretty sure that it wasn't any of my family making this noise because my brother and his friend and my dad were outside playing basketball. While my mother and my dogs were in the kitchen. I knocked on my wall to see if I would get a knock back. But the thing was I did not get a knock back I got a sound back. Then my dog started barking from the kitchen and the noise stopped. Then when my dog stopped barking the noise continued. But I had to go so when I opened my door the noise stopped and I didn't hear it again. Also this wasn't the first time I had heard the strange sound. One time I was alone with my friend Paige in my bedroom talking and the door was closed. I heard the noise then and she was a little scared of what it was. Also my other friend Tori was over and we were in my room with the door closed and we heard it too and it wouldn't stop. The noise always seems to occur in my bedroom with my door closed. Also I would like to say I have three Juniper bushes in front of my house. And one of them is supposedly a home for a family of rabbits. But today it snowed and when I looked outside I noticed something. The Juniper bush the rabbits live in was practically destroyed. Parts of the bush were off to the side and seperated from the rest of the bush. It was ruined! But earlier I went outside to see if I could see the snow and something moved in the bush. But I never saw an animal. You also can enjoy the experience by, putting salt by your window or any possible entrance to keep goblins away. You can also mix oatmeal and tomato sauce and lightly cook it, place it in plastic bags and use it as defense against goblins. To attract brownies is by leaving out honey on crackers. Or by leaving flour on the ground of an untouched place and see if their are footprints or if it's cleaned up. Brownies love cleaning and can't help them selves. Another way is to heat milk for about a minute, then mix in flour. Next place butter and sugar on top. Then place it out in the night. Another thing to do is, take a clump of grass and dirt and turn it over in a untouched part of your yard. If you wait the next day and it's turned back over, then their is a possibility of a pixie in your yard. Another thing you can to protect you from magical creatures from attacking is to tie branches from American Mountain Ash, Honey Locust, and Scarlet Oak together with red thread. To stop from being lost by a stray sod, turn your shirt inside out and backwards so if you do step on a stray sod, you don't get lost any where you go or anywhere you step! If you want observe good magical creatures without them being scared, I recommend wearing green. It reminds them of nature and red scares them. If you do wear green, I can't promise you that you will encounter you but they will be near!